Boys Life had a bread recipe in it when I was a kid that recommended making starter by making a watery dough, putting it in a bowl with cheesecloth over it, and setting it outside for a day or so. Then, letting it ferment for a few days, then storing it in the fridge until ready for use. It said to make new starter every time you made bread by saving a little of the dough, adding some more flour and water, and putting it in the refrigerator. Boys Life -- now that's a flash from the past. I used to love that magazine. Anyway, the answer (will it work) is more or less because of the yeast in flour -- in fact, what they describe is basically a simplified version of the starter recipe found in a lot of bread books, w/o the feeding/discarding/refreshing parts, but the addition of something like an apple not only adds more wild yeast, but the sugar help give things a kick. Using some leftover dough for your next loaf is a time-honored technique btw. 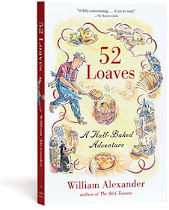 I think you'd really enjoy the chapters on making my levain and the history of yeast in 52 LOAVES, if you haven't read it yet. I am toying with the idea of using a wild Belgian yeast that is available at my home brewing store (Reno Homebrewer). It is a Brettanomyces culture. I have heard that beer yeast varieties don't work well for bread but wild yeast is wild yeast, right? Anyway, I will let you know how it works out. your wife is a saint. I loved both of your books. 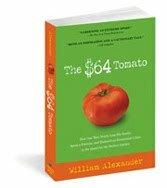 If the tomato cost $64., how much did the loaf of bread cost? Now I must get a digital scale & try your recipe. Also, have you considered some St.Wandrille background music here. Thanks again. You are an inspiration.